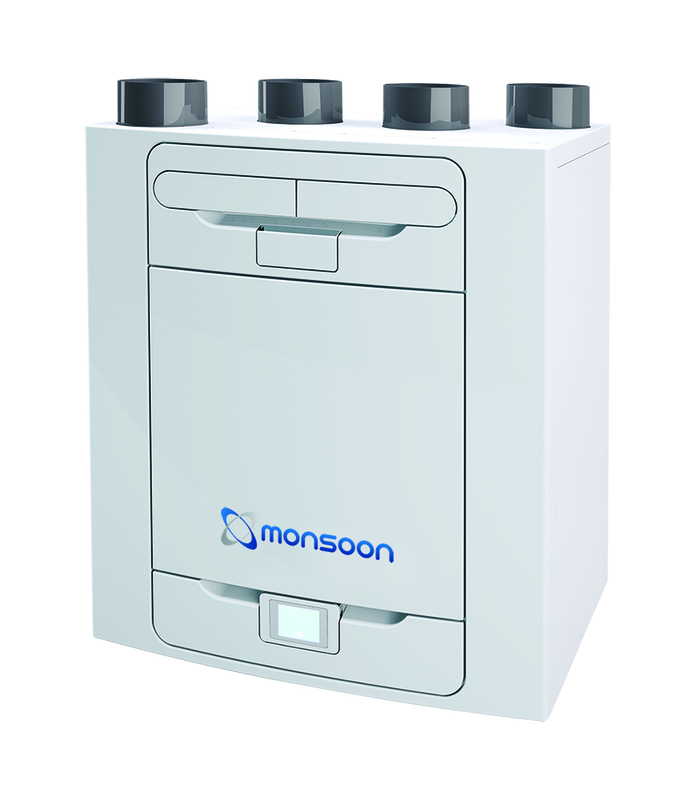 The Monsoon MON-HRU range offers the perfect solution for wholehouse heat recovery, bringing in fresh warm ventilated air and helping to save money on energy bills. Click here to learn about our free ventilation design service. Product Code - MON-HRU, MON-HRU 230/100, MON-HRU 330/100, MON-HRU 400/150. 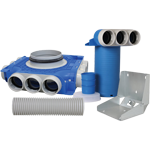 National Ventilation’s radial air distribution system is designed for use in homes, apartments and small buildings. 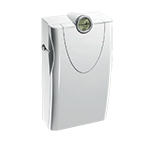 The radial system is up to 60% quicker and easier to install, saving time and money. 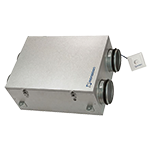 The compact air supply and exhaust ventilation unit Energysaver MHR100 is a simple and effective energy-saving solution ventilation of apartments, cottages, single-family houses, workshops and trade premises. 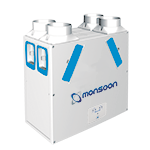 The Monsoon HRU-ECO system can significantly reduce the space heating bill of a domestic dwelling, putting more money in your pocket. It will assist in controlling the condensation levels in the home by removing the stale polluted air. 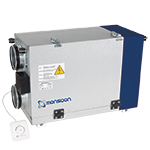 The Monsoon AEROPAC Positive Pressure system is an ideal solution for preventing mould and condesation. The Monsoon Fast Fix Internal kit has been designed so that it can be installed from within the property ensuring a quick and easy installation. The Fast Fix kit with low-resistance external grille is ideal for high-rise applications where access may be an issue. Product code – FFK100. The Energysaver™ Grille has been designed to counteract the adverse effects of external wind on the performance of mechanical extract ventilation systems and passive vents. 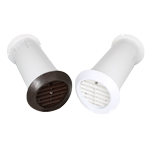 This patented product is up to 20% less resistant to airflow and has the capability to make any extractor fan up to 20% more energy efficient.